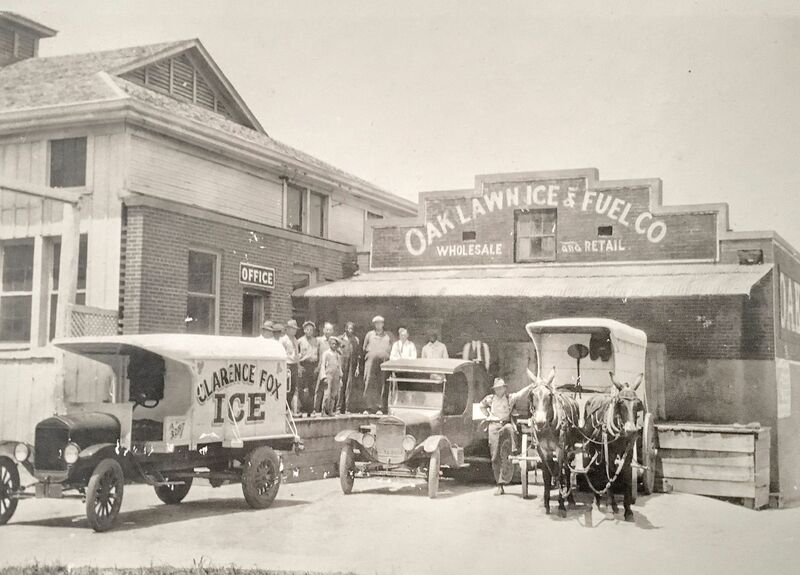 Oak Lawn Ice & Fuel Co. 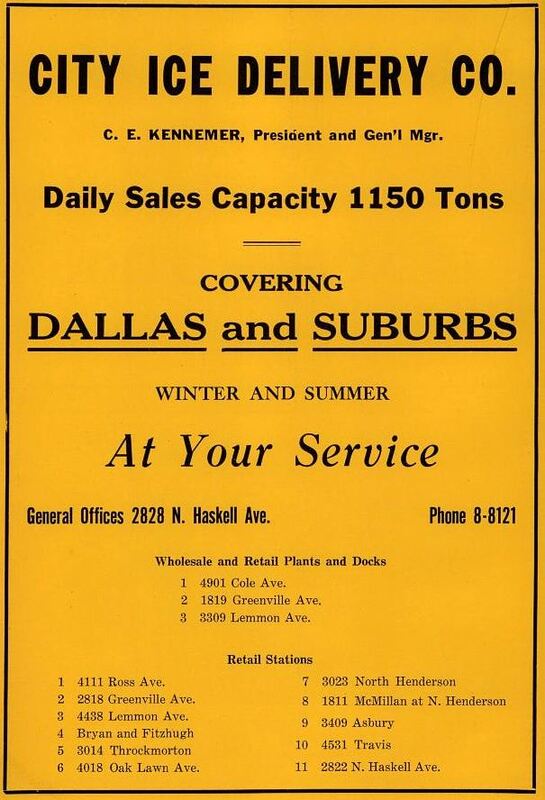 Above, another great Dallas photo shared by a reader — this one shows the Oak Lawn Ice & Fuel Co., which sold ice to independent dealers and to retail customers. Krystal Morris sent in the family photo — her great-great-grandfather J. F. Finney is standing next to the horse-drawn wagon. 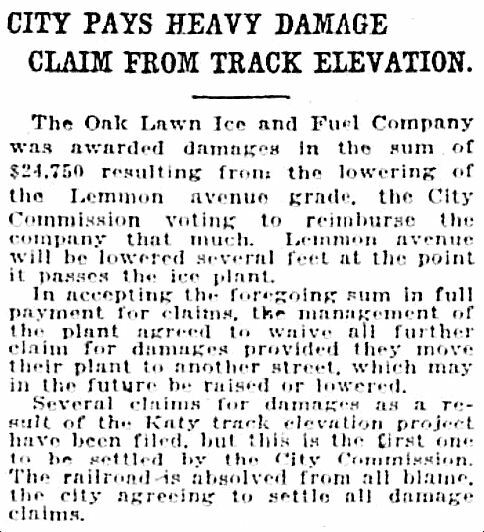 To the surprise of many, the ice company was awarded damages by the city. 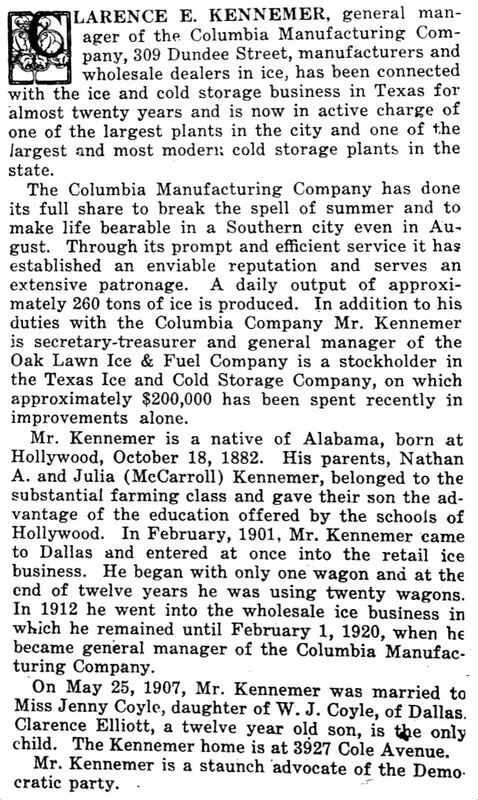 By 1924 the company expanded as it absorbed other ice companies. 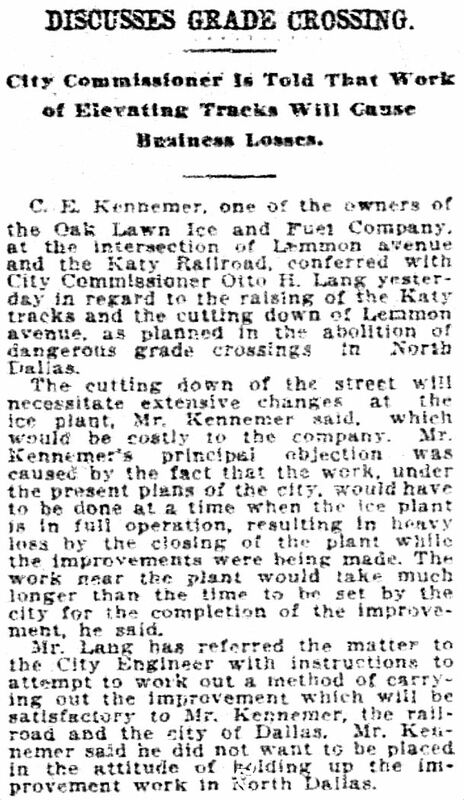 By 1925, “Oak Lawn Ice & Fuel Company” had become “American Ice Co.” (another C. E. Kennemer enterprise). 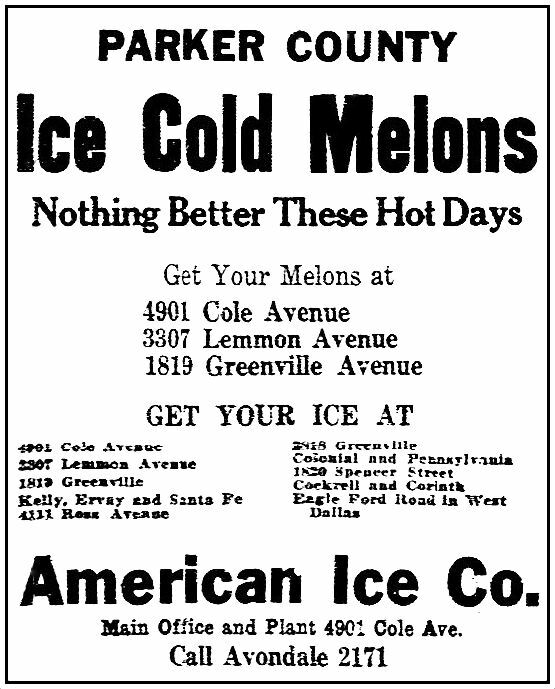 By 1933, American Ice Co. was swallowed up by City Ice Delivery Co. 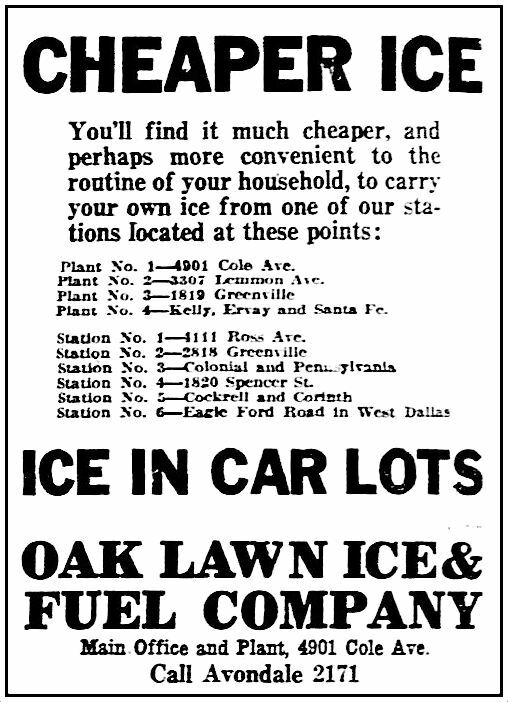 In the late 1930s or early 1940s City Ice Delivery Co. was acquired by Southland Ice (the forerunner of the Southland Corp., owners of 7-Eleven convenience stores). 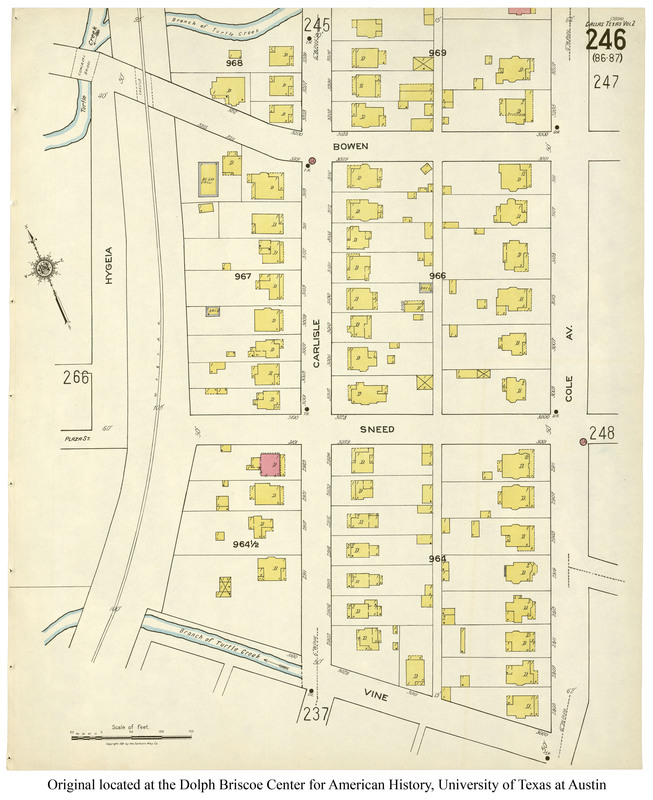 The Lemmon Avenue location became a meat-packing plant sometime in the mid-’40s (if neighbors were bent out of shape by an ice company, imagine how they felt about a meat-packing plant! ); the Cole location became a 7-Eleven store and later a Southland Corp. division office. But back to Jonathan F. Finney, the man standing next to the ice wagon in the top photo. 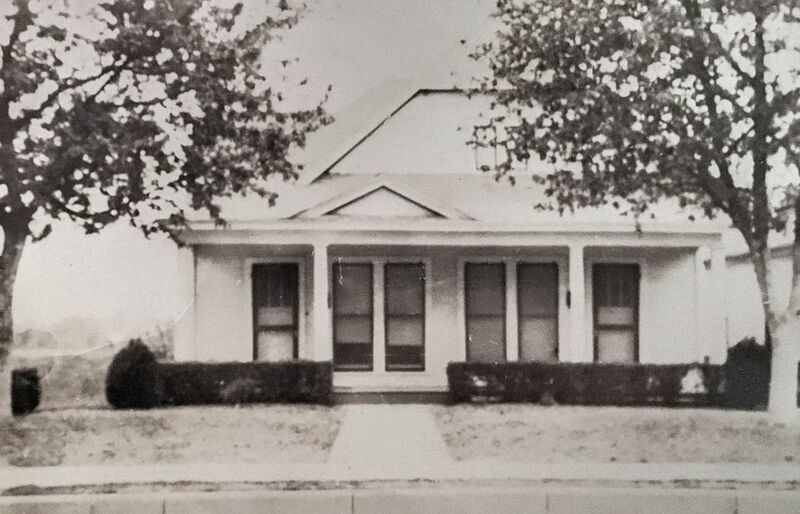 He came to Dallas from Alabama around 1916 and bought a house at 3001 Carlisle Street, where he lived for most of his life in Dallas. His occupation was “ice dealer,” and he seems to have worked in both the wholesale and retail areas, as a driver, a salesman, and even for a while the owner of his own company. 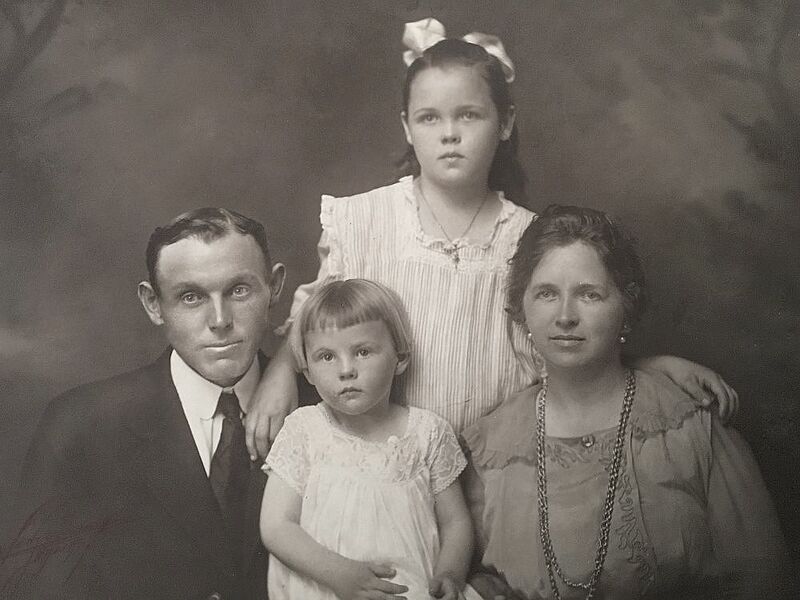 His great-great-granddaughter Krystal Morris (supplier of these wonderful family photos) says she believes he was the manager of the Oak Lawn Ice & Fuel Co. 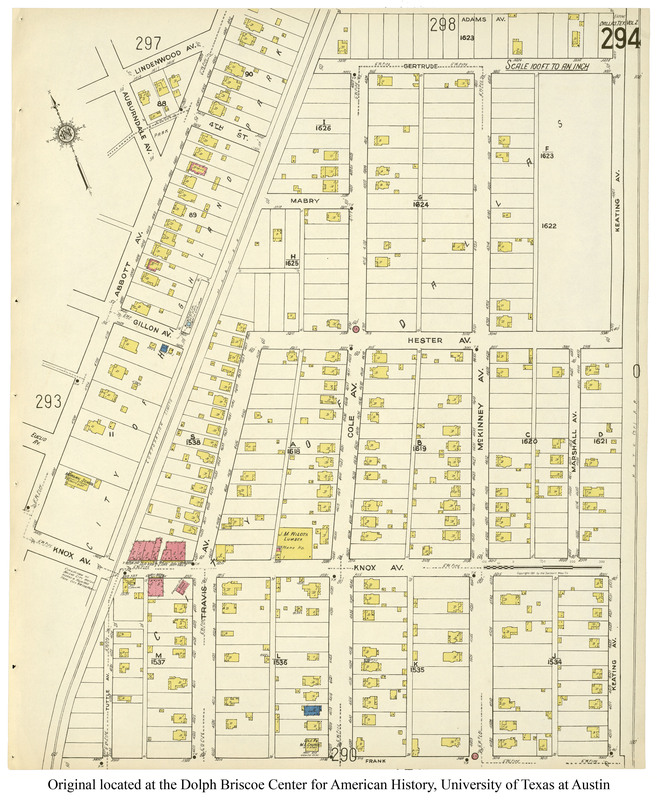 The 1932 directory lists him as foreman of the City Ice Delivery Co., and as he lived at 3001 Carlisle, it seems to make more sense he was working at the Lemmon Ave. location (which was less than half a mile away from his home) rather the Cole Ave. location. 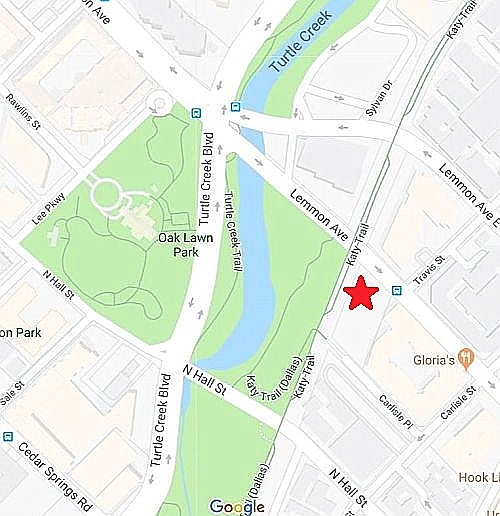 The actual address of the photo at the top is unknown, but it may show the Lemmon Ave. location when Finney was working as an independent ice dealer, standing beside his own wagon. 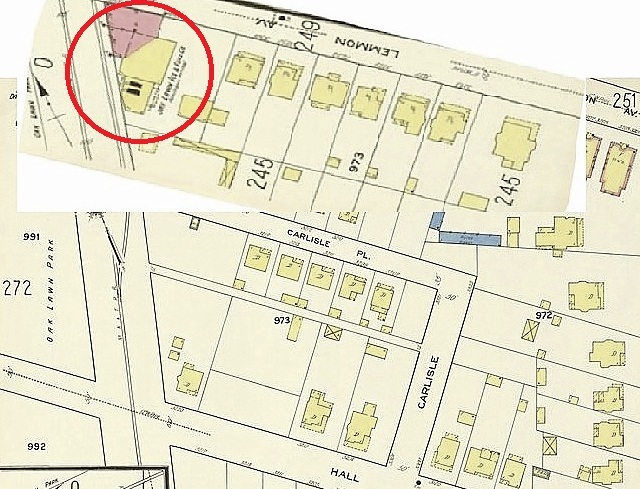 Below, the Finney family around 1920 (J. F., daughters Thelma and Viva Sue, and wife Wenona), and below that, their house at 3001 Carlisle (which was at the corner of Carlisle and Sneed — seen in a 1921 Sanborn map here). All photographs are from the family photos of Krystal Morris and are used with her permission. Thank you, Krystal!